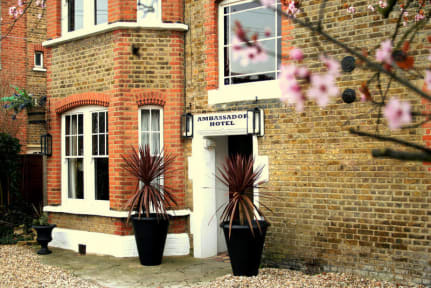 Boutique style Hotel within close proximity of London Heathrow airport. Most rooms are en-suite and all have flat screen TVs,wireless internet connection,CD players,DVD players,Trouser presses,coffee & Tea trays. and direct dial telephones. 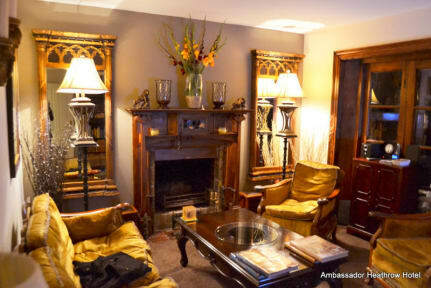 Rooms are mainly furnished with Victorian furniture and all have the finest quality Egyptian linen on the beds. we also have a romantic four poster room with large attached wet room. The rooms are for the amount of people in them- so a double for two and triple for 3, any extra persons, irrespective of age will be charged an additional fee. All forms of payment are acceptable although there is a 4 pounds or 4% charge for paying by credit card. Debit card, cheque and cash do not incur any charge. This is a charge we incur by offering this facility so is not in order to make extra profit.